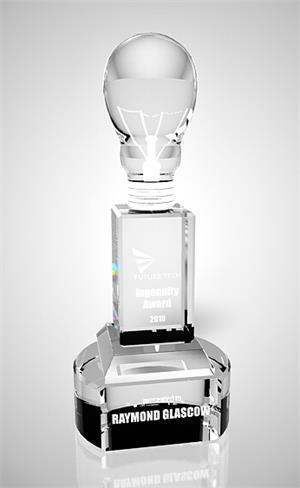 This award celebrates the spirit of creativity, ingenuity and thinking outside the box. Our original crystal design features a rectangular column set on a base and crowned with a crystal light bulb. Personalization text is engraved on the crystal base and the crystal shaft.